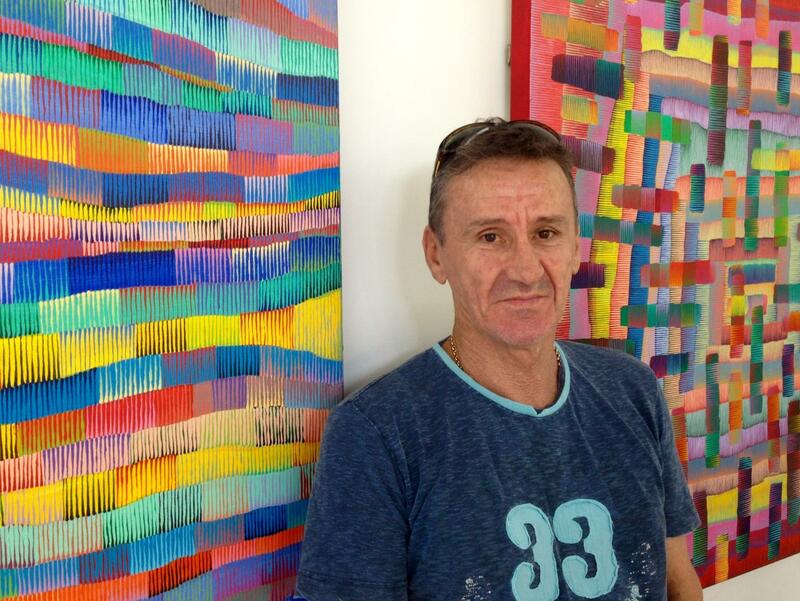 Gold Coast artist Patrick McMahon’s painting is neither steeped in issue, nor deconstructed by aid of a computer application. It does not need screeds of information to validate it. Unapologetically, his work is about feelings and is borne from decades of hard labour, life experience and learning about what nature and paint do (when they meet each other). It is the 21st century. We are inextricably connected to technology. The computer has made us all designers, fashionistas, philosophers, photographers, writers, master-chefs and singers. And yes, everyone is an artist (or an art critic). With the art, come statements and words that can hold more power than the actual work, and convince the reader what and who is good (most likely as good investment). When did art become about the exercise of writing/reading about it, rather than producing and interpreting it? Have we lost connection to individuality, nature and craft? Patrick McMahon’s painting is neither steeped in issue, nor deconstructed by aid of a computer application. It does not need screeds of information to validate it. Unapologetically, his work is about feelings and is borne from decades of hard labour, life experience and learning about what nature and paint do (when they meet each other). “At heart, I am inspired by the process of making art. I endeavour to capture, entertain and maintain the viewer. My work is inspired both by the colour and geography of the landscape, and our relationship within that arena. This inspiration can emerge from the actual colour within the natural environment; such as the screeching colour of a volatile bush/rainforest habitat or the complexity of colour and pattern within an opal. 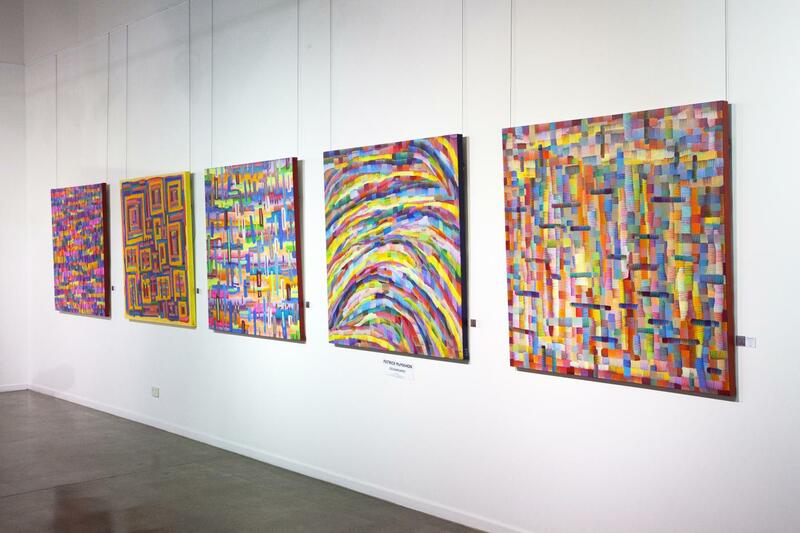 Patrick McMahon paintings are also held in numerous private collections.